I thought I was used to wearing braces now that I have been wearing them for over a year but to say it is a different sensation wearing braces with 18 vertical hooks (see picture) would be an understatement. To think I was under the impression that the days of wearing wax were over . . .
As I left the Ortho, a lot of people wished me luck which was kinda nice. 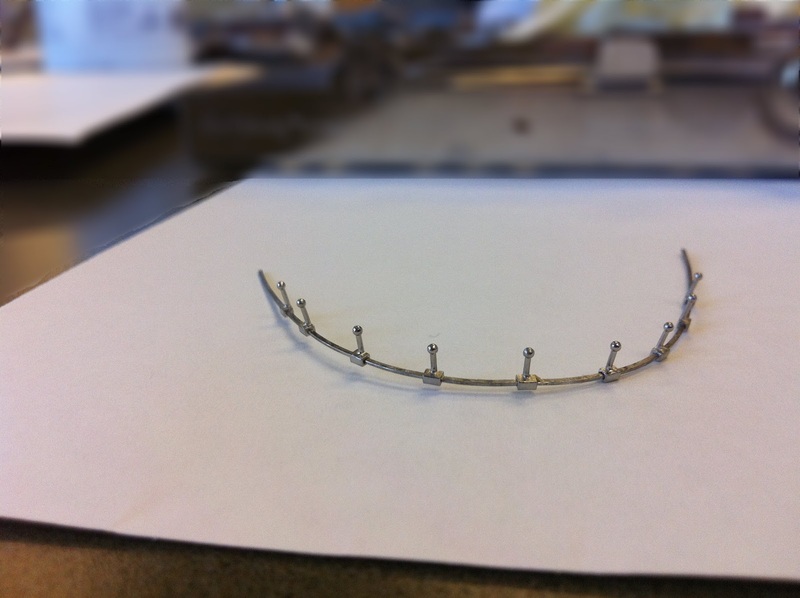 I am super impressed with my Orthodontist and his staff - they have been great throughout this entire process! It really is a journey for all involved to varying degrees. I will next see him in approximately six + weeks after my surgery. He told me I would only have to wear my braces for about four to six months after that time and then they will be taken off! So hopefully I will be completely done by the end of 2012 - fantastic!!! One more appointment to go - I have a pre-surgery physical exam and then that is that before surgery . . .